The annual Kansai All Start Drifting GP was held a few weeks ago at the famous Meihan Sports Land in the southern region of Japan. 11 minutes of non-stop, frenzied drifting. Crazy. Is that a Honda civic drifting? this kind of drifiting is rad. two cars or one car is so boring. seeing a train of cars all hit the same corner together is raw! Was that an eg6 @01:18? I meant to go to this but remembered the day after! I am so pissed! WTF?? 1:18 , HONDA CIVIC? the black and green one is it a civic? for real we need more info on that civic. Holy Crap! 6:18 was an insane entry... Well Done!!! Cant beleive theres a civic drifting, actually drifting, Thats the most hellainsanecrazydopeJDM sh*t ive ever seen. Ive been into cars since paul walker hit the scene and can i say that this car moding sh*ts just peaked, close the thread. one word FEATURE. OMG civic. This reminds me so much of RC drifting. Those two toward the end of the video are phenomenal! They were all so... harmonious!!! good lord who cares if it's a civic, HOLY CRAP DID YOU SEE THOSE OVERTAKES! ok they may have been on purpose, but that was the coolest part of the video, not the civic (it's nothing new. ), but damn that was a lot of Nissans. 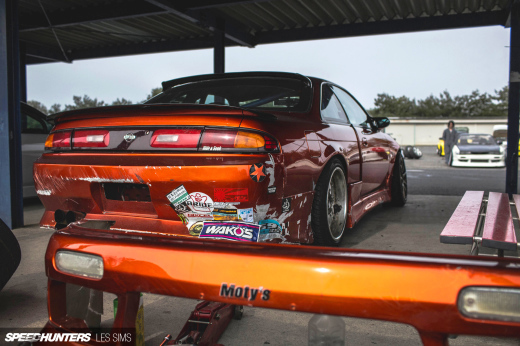 need a feature on that S-13 with the Neon green Gram lights Iove the way that dude drives! Every year he kills it at this event!